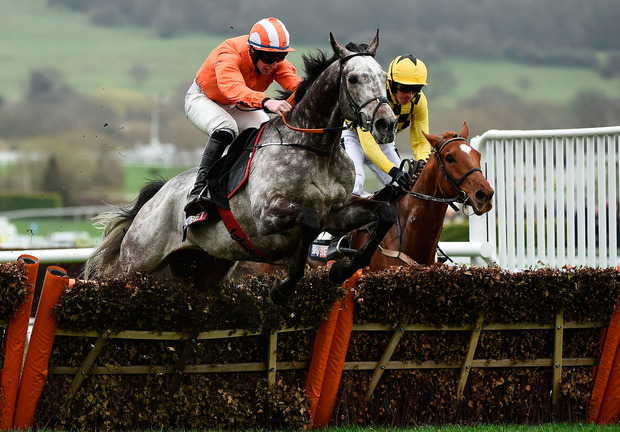 Labaik won the opening Supreme Novices' Hurdle at the festival in March 2017 under jockey Jack Kennedy. Trained by Gordon Elliott, it was returned at odds of 25-1 but landed a big gamble for the horse's supporters, with the bookies in west Dublin and Kildare particularly stung by the result. The stunning performance caught many off guard as twice before it had refused to race, displaying a temperamental streak. Meath-based trainer Elliott joked in the aftermath of the race that Labaik had been lined up to run in Naas as it "wouldn't be as embarrassing if he refuses" at that racecourse. John Boylan, aka John Power, of Forest Hill, Rathcoole, Co Dublin, but originally from Lucan, is fighting a claim by CAB that he bought Labaik from the proceeds of crime. Boylan said previously he was 90pc owner of the horse. None of the others involved in the horse is in any way linked to crime. In an affidavit to the High Court, CAB says Boylan is involved in drug dealing in the Clondalkin area of Dublin and has convictions for the crime. Labaik won €125,000 in prize money when winning at Cheltenham. It had won four of its previous nine races but had refused to start in three others. The horse has been sidelined since suffering a leg injury at the Punchestown festival the following month. The horse was purchased for a six-figure sum as a yearling but after an unspectacular start to its career was sold in the summer of 2016 to its current owners for a fraction of the original cost and switched to the Gordon Elliott stable. CAB obtained an interim court order allowing the bureau to hold the seized passport for the horse. Boylan has brought his own proceedings against CAB claiming losses arising out of the injury sustained by Labaik at Punchestown. The High Court heard Labaik had been expected to be sold for between €300,000 and €400,000, having been purchased for €29,290. In its claim, CAB is seeking to have Labaik declared as the proceeds of crime, along with a 2013 Mercedes Benz, bought from the UK for €32,669. CAB says Boylan is the beneficial owner of the car but he claims it is owned by his girlfriend, Naomi Kinsella, against whom the proceedings are also being brought. The horse was purchased with money from a joint account of Boylan and Kinsella, the majority of the price being paid through a credit transfer by him. An animal feed company, called Forest Hill Animal Feeds, was also set up which is registered in the name of a Boylan associate who is also involved in criminality, counsel said. The case is being heard before Ms Justice Carmel Stewart. It was adjourned previously to allow CAB officers to be cross-examined by lawyers for Boylan.